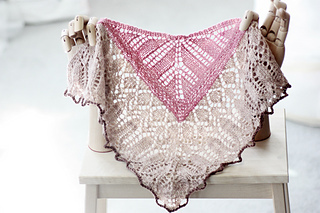 This is the third miniature shawl pattern of the workbook portion of my new eBook subscription (with patterns to be delivered over the course of the subscription)! 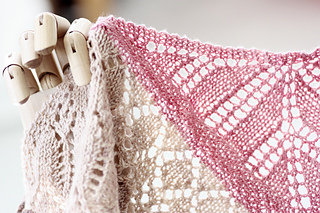 This subscription will have two parts: the shawl booklet and the workbook. This is for the workbook ONLY. It does not include instructions for the full size shawls. This book contains techniques plus small project patterns and miniature shawl patterns. 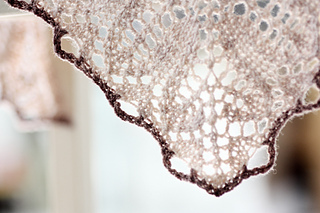 You can purchase a bundle of the shawl eBook and the workbook for the reduced price of $34. She Moves with Strength and Beauty is a resizable shawl from my eBook subscription: 7 reSizable Shawls! This doll-sized version is presented in the 7 reSizable Shawls Workbook as a technique study and a great little wardrobe enhancement for your favorite doll or poodle. The subscription period for the eBooks will run until October 31, 2018 (delayed). There’s going to be a lot of great technique to work through! Each of the projects will have a knit-along in my Ravelry forum. I’m SO excited to share this project with you and I hope you will LOVE it!